You are looking for nano so bring your a pen and perhaps a retrieval tool. Wyverstone is a village and civil parish in the Mid Suffolk district of Suffolk in eastern England. Located around five miles north of Stowmarket, in 2005 its population was 370. 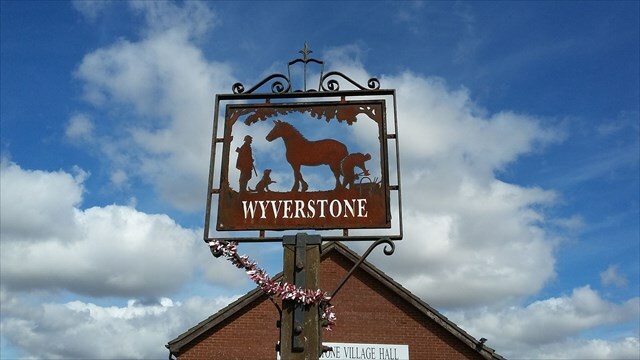 The parish also includes the hamlets of Wyverstone Street, 1 km to the west and Earl's Green, 1.5 km south-west. Recorded in Domesday as "Wiuert(h)estuna" and on John Speed's 1610 map as "Wiuerston". Parking for this cache can be found at the coordinates given, but to find the cache you will need to get the following information.